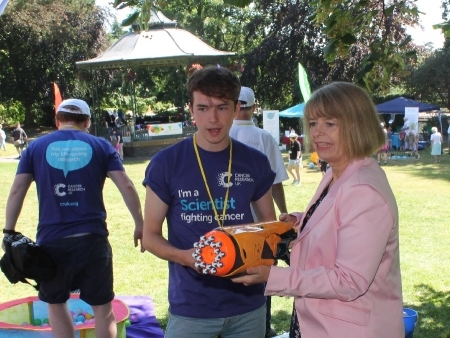 Cancer Research physicist Matt Wray gives Harriett Baldwin MP a demonstration on how technology is improving cancer treatments. Copyright © Harriett Baldwin, 2006-2019. All rights reserved.